First-rate teachers value parents. Jumpstart positive parent partnerships from day one. Show parents how much they matter. Principal Amy Fadeji and Superintendent Joe Sanfellipo have a collection of simple ideas. First contact. First-rate teachers value parents. Jumpstart positive parent partnerships from day one. Show parents how much they matter. 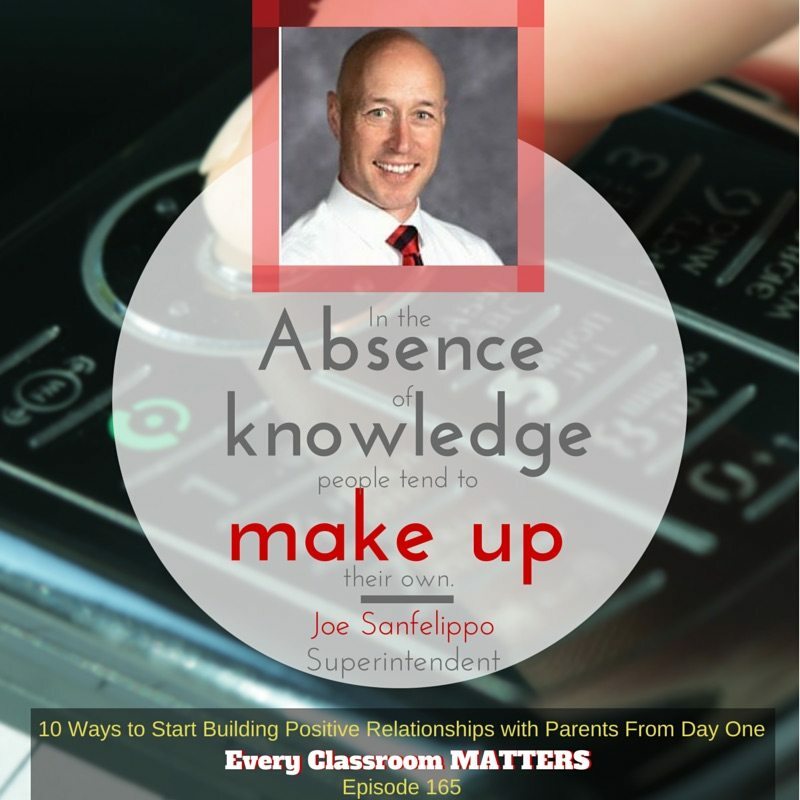 Principal Amy Fadeji and Superintendent Joe Sanfellipo have a collection of simple ideas. Joe stresses the first contact with the parent should be positive. He has a method that seemed like more work the first time they did it. Now teachers do it willingly. It makes a huge difference. Fab Fridays. How Joe ends every Friday on a positive note with five important phone calls. Helping Parents Love Phone Calls from the Principal. Amy has a fantastic idea. Her teachers give her information that lets her make positive phone calls to parents. Parents don’t dread a phone call from the principal now. Make Social Media Work for You. How to use social media to help improve perception of your school in the community. I made some of the best quotes into images at the bottom. Take them to share on social media. Don’t just plan lessons. 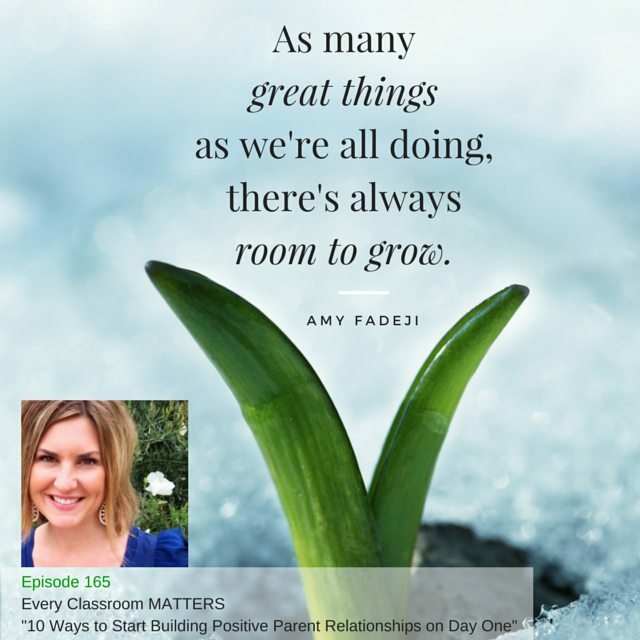 Plan for positive parent relationships. Set up communications. Two-way. Pave the way with positivity. Take time to be kind. Share this show with superintendents, principals, and teachers. If isn’t the start of the year for you, it is never too late to start again. 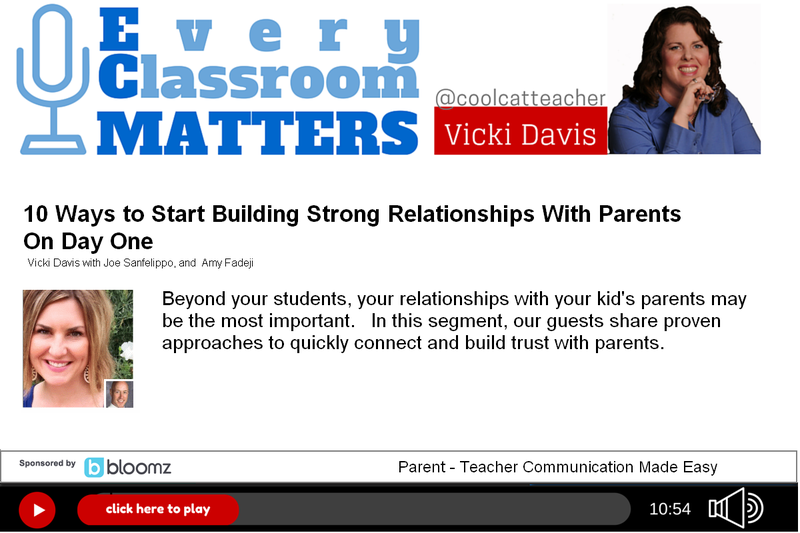 The post 10 Ways to Build Powerful Parent Partnerships from Day One appeared first on Cool Cat Teacher Blog.